and epic adventure series Steve Backshall’s Extreme Mountain Challenge in Venezuela for which he was awarded the Guild of Television Cameramen’s Award for Excellence. Recently he has been on expeditions to the Arctic, the Himalaya and was filming in the Alps last Winter. 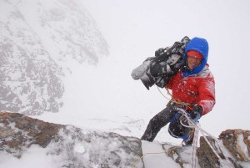 For over 25 years Keith has been pushing the limits of extreme filmmaking. Productions in which he’s been involved have won dozens of international film awards, two BAFTAs and an international Emmy. 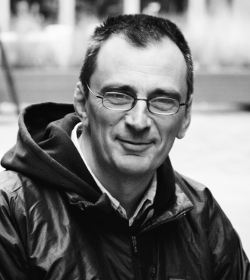 His international award-winning book The Adventure Game, charting his experiences in filming at the ends of the Earth, was published in June 2015. Join one of the world’s most experienced extreme location filmmakers and cameraman on another journey behind the scenes. Camera in hand he has documented expeditions and adventures to some of the harshest places on earth for the past 25 years. This is story-telling with a twist, illustrated with stunning images. Filming is about fun but whether it’s ‘type 1’, ‘type 2’ or even ‘type 3’ fun is any one’s guess! Hi, thought this Lecture may be of interest http://www.wildernesslectures.com/speaker.php?id=238 ----------------------------- Join one of the world’s most experienced extreme location filmmakers and cameraman on another journey behind the scenes. Camera in hand he has documented expeditions and adventures to some of the harshest places on earth for the past 25 years. This is story-telling with a twist, illustrated with stunning images. Filming is about fun but whether it’s ‘type 1’, ‘type 2’ or even ‘type 3’ fun is any one’s guess!